Who can you trust? It’s tax return time again…and if you have a lot of deductions or you have investments and property it can seem very hard to do your own taxes. There are numerous companies both national and local that will offer to file your income taxes for you, for a small fee. But should you use one of these companies, or try to file on your own? For the sake of argument let’s say you want to have someone file your tax return for you. Depending on the company, you may be walking into a trap. That is why the first thing you should do is check out the company with the Better Business Bureau. 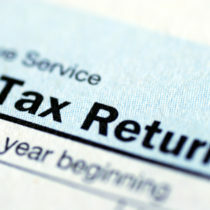 Many of these tax returnprep company’s employees are not IRS tax experts. They are not IRS enrolled agents. They’ve had a three week training course at best. When you go to them they’re going to make all kinds of promises to get you more money than you’ve ever gotten back from Uncle Sam. Be very cautious at this point, “easy money” always has a catch. Make sure you have all of your paperwork and do all of the math on your taxes first. This will give you a frame of reference for when that company does your income taxes. Also if they recommend a tax deduction or tax credit that you’re not sure about, you probably shouldn’t take it. Don’t be seduced by the promise of a big payoff, ask the agent handling your taxes to prove the deduction or credit is legitimate and show you in the tax code. If he/ she can’t, ask for a manager. It’s your money and you need to protect it. Do not be taken in by a “rapid refund”.